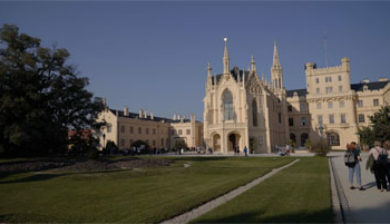 (Czech pronunciation: [ˈlɛdɲɪtsɛ]; German: Eisgrub) is a village in South Moravia in the Czech Republic. 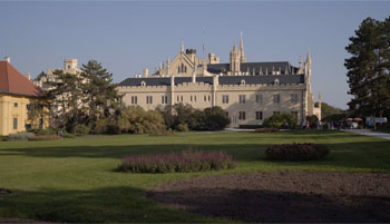 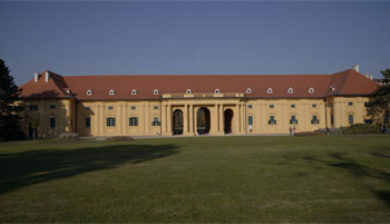 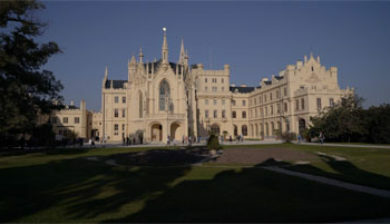 In 1996 it was inscribed on the UNESCO World Heritage List (together with the twin manor of Valtice) as “an exceptional example of the designed landscape that evolved in the enlightenment and afterwards under the care of a single family.” It contains a palace and the largest park in the country, which covers 200 km². 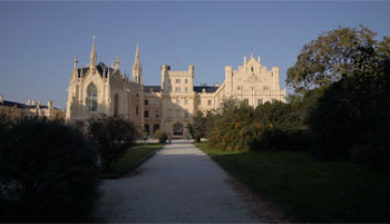 Since Lednice/Eisgrub first passed into the hands of the House of Liechtenstein in the mid-13th century, its fortunes had been tied inseparably to those of that noble family. 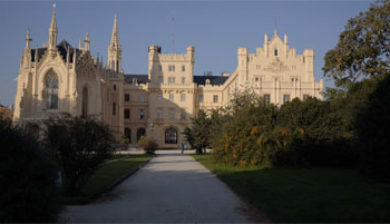 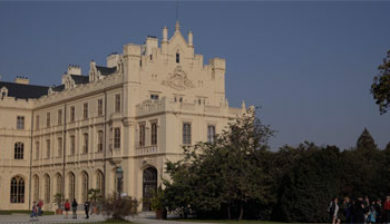 The palace of Lednice began its life as a Renaissance villa; in the 17th century it became a summer residence of the ruling Princes of Liechtenstein. 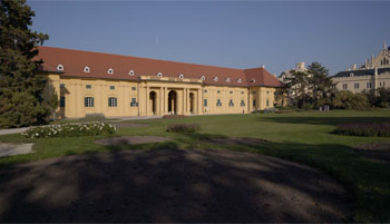 The estate house – designed and furbished by baroque architects Johann Bernhard Fischer von Erlach, Domenico Martinelli, and Anton Johan Ospel – proclaimed rural luxury on the grandest scale. 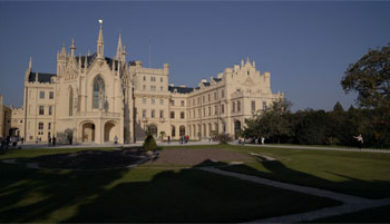 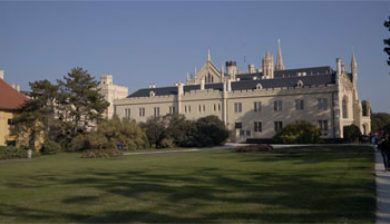 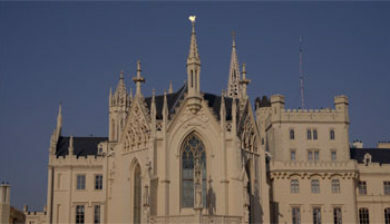 In 1846–58 it was extensively rebuilt in a Neo-Gothic style under the supervision of Georg Wingelmüller. 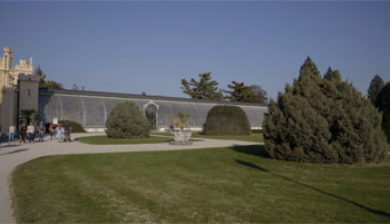 The surrounding park is laid out in an English garden style and contains a range of Romantic follies by Joseph Hardtmuth, including the artificial ruins of a medieval castle on the bank of the Thaya/Dyje River (1801) and a solitary sixty-metre minaret, reputedly the tallest outside the Muslim world at the time of its construction (1797–1804).